Building and repairing sprayers is an integral part of Sprayer Depot's core business. We manufacture a full line of commercial sprayers, Kings Sprayers®, ranging in size from 15 gallon economy spot sprayers to 500 gallon highway ready trailer sprayers. Meeting demand is a constant concern and requires a dedicated, focused team. 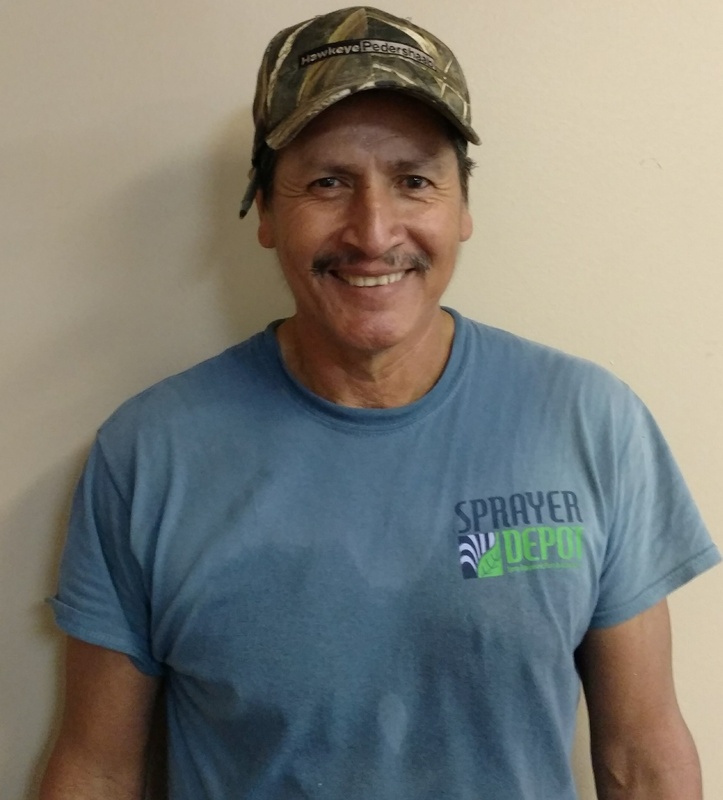 Meet Fredo Martinez, one of our valued team members who is responsible for helping to build many of the Kings Sprayers models. Q: What do you like to do in your free time? Spend time with grandchildren. Q: Where are you from? Rio Bravo, Tamaulipas, Mexico. Q: What’s your favorite movie? Any “action” movie. Q: Do you have an inspirational quote that motivates you? No, my family is very important to me and that is my motivation. Q: Will you tell us something most people don't know about you? I don’t like pizza, love corvettes, don’t know how to text, and like Karaoke. Q: What’s the best part of joining the Sprayer Depot team? Everyone is caring and helpful to me. I feel everyone at Sprayer Depot is part of my family. Got a question for Fredo? Leave it in the comment box below.